What you place it on will definitely impact the sound. I found putting an RP6 on a heavy piece of furniture made the sound more bass-heavy. Not that it was a bad thing, just my experience. Yes, I see that now and apparently, I'm also missing the protractor. What do you put your RP6's on now? They are on lighter wood cabinets now, and one wil soon be on a proper Solidsteel audio rack like I have for my RP10. How does yours sound in the present location? I haven't received it yet. It is scheduled to arrive mid-week. Looking forward to my new toy and getting it broken in. The Ania breakin period rivals a Yamaha integrated. About 75 hours on average and then boom. Wake up to a different cartridge the next day. It’s not gradual and not subtle. Bananas&blow and Echoes Myron like this. First location is here, but I purchased the P6 to be used in a bedroom setup and will sit on an oak dresser unless I doctor that or pony up the money for a wall-mount. I haven't received the Lounge Copla SUT yet, so I can't yet listen to the P6 in the bedroom. It's sounding excellent wall mounted so far, but only on my 3rd record. Twinsfan007, Morbius, displayname and 1 other person like this. bever70, Morbius, jon9091 and 1 other person like this. Twinsfan007, Bananas&blow, rischa and 1 other person like this. Actually I’ve had my Dual cs5000 since 1986. It still in my downstairs office. No box. Had my RP6 for almost three years then sold it here and shipped it in its original box to a happy buyer. I now have an RP8 with the box in a closet. Twinsfan007 and Bananas&blow like this. I've never been one to let facts get in the way of being wrong. 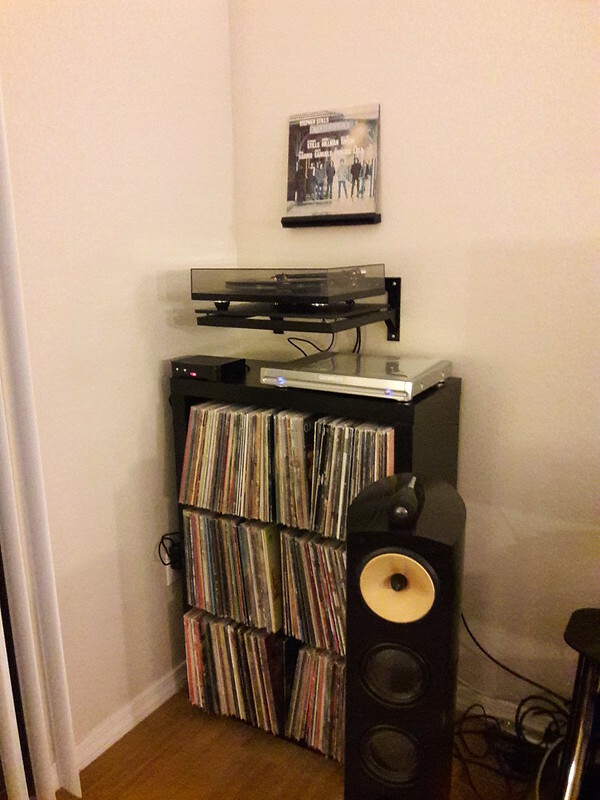 I live in a 2 bedroom apartment with 3 hifi systems. If I kept all the boxes I'd have to ship my wife away in one of them. Now that I think of it...maybe I'll keep the box just in case! I might have been thinking of your last set of speakers. You had those B&W's a minute. You running an Ania on your RP8? Thanks Jon! New Turntable day is the best day! Mazzy and jon9091 like this. My BW702 s2 I’ve had almost 18 months now. My older BWs I had since 2002. My RP8 I’ve had a year. Bought an Aria stage and Ania cart last fall but the Ania was from a bad batch so my dealer took it back. I’m using an Exact 2 I’ve had for awhile and it sounds fabulous. I may try the new Hana in a few months. I’m fortunate that my local turntable cart guru will come to my house to swap and set up. Spent a good 6 hours listening to the P6 today and I can say any comments about stethoscopes picking up noise or hum coming through my speakers are completely non-existent in my case. The P6 is dead quiet. The Ania has more detail and brighter highs so far than my Bronze. Ania seems to do the full range spectrum pretty well. Bass sounds good, midrange shines, high are very detailed. Looking forward to the Ania breaking in. I know my Bronze got a little warmer in a good way after about 20 Hours of spinning. I'd say disappearing was a good way of putting it. Loving the new deck so far! Giddyup! rischa, james, Morbius and 1 other person like this. Congrats and enjoy. I really like your wall mount...looks good. The brightness will go away when the suspenison breaks in. After it breaks in, throw on some Dead albums. The lack of overhang on the foam Regas really reduce the mud on a Dead recording. thank you! If you are curious its the standard Pro-ject wall mount.